In Errol Morris’s Wormwood, the filmmaker reminds us that sometimes skepticism is the only thing we can trust. In 1953, Frank Olson, a bacteriologist employed by the Army Chemical Corps to research biological weapons, fell to his death from the 10th floor of the Statler Hotel in New York City. Olson’s death was ruled a suicide. In 1975, the Rockefeller Commission issued a report detailing abuses by the CIA, including, among other things, experimentation with LSD as part of its MKUltra mind-control studies. Olson, it was revealed, was one of a number of government workers who were surreptitiously drugged, apparently for interrogation purposes. The Rockefeller report charged that Olson’s consumption of LSD contributed to his mental deterioration—he had a nervous breakdown shortly after—and perhaps caused him to commit suicide. After the report came out the Olson family received an apology from the US government, which was delivered personally by Gerald Ford at the White House, and a $750,000 settlement; there was also a congressional hearing, which turned up little new information and had the effect of forestalling a criminal investigation. These events, and their aftermath, are the subject of Wormwood, Errol Morris’s new Netflix miniseries. The spirit of Wormwood, and of Morris’s political sensibility generally, can be traced to the early-to-mid-1970s, a kind of golden age of anti-government paranoia. 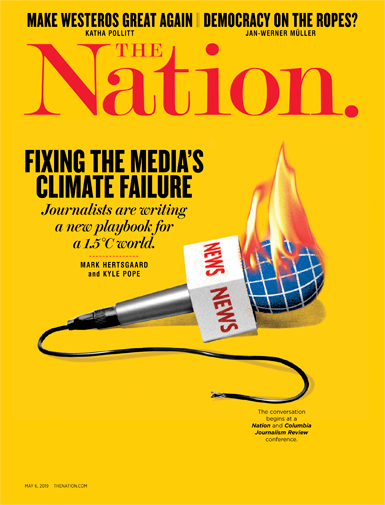 It was the time not only of the Rockefeller Commission report but also of Watergate, the Pentagon Papers, revelations about the FBI’s COINTELPRO activities, and, in the arts, landmarks of paranoid style like Thomas Pynchon’s Gravity’s Rainbow and Francis Ford Coppola’s The Conversation. The whole ethos is conveniently embodied, in Wormwood, by Seymour Hersh, the legendary investigative reporter who covered the Olson story in 1975 and who appears in the show’s final episode. (Hersh’s cagey, truculent responses to Morris’s questions—“What do you mean by ‘What do you mean?’ ” he snarls at one point—are one of Wormwood’s highlights.) Yet one of the arguments Morris prosecutes in Wormwood is that even Hersh, that high priest of skepticism, was not suspicious enough, that there is more to the story of Frank Olson’s demise than the most hardened cynics ever dreamed. There are two basic types of Errol Morris film. One is the character study of an obsessive individual pursuing a difficult, perhaps impossible goal. Morris loves his Ahabs: the animal-obsessed eccentrics of Fast, Cheap & Out of Control (1997); Fred A. Leuchter Jr., the electric-chair designer who becomes a Holocaust denier, in Mr. Death (1999); Joyce McKinney, the woman who kidnapped a Mormon missionary, in Tabloid (2010). The other type is the historical film dedicated to patient but passionate critique of the American security state. The Fog of War (2003), Standard Operating Procedure (2008), and The Unknown Known (2013) are all works in this mode, and it is these later films that have brought Morris the most mainstream success and, in the case of The Fog of War, a long-deserved Academy Award. Wormwood blends these two genres. It’s another meditation on the corrosive effects of secrecy on democratic institutions—Donald Rumsfeld, the antihero of The Unknown Known, even makes a cameo appearance at one point—but at its center is a story about an Ahab: Frank Olson’s son Eric, whose combination of nerdy affability and quiet anger is riveting. Morris dwells on a parallel between Eric’s situation and Hamlet: Both are stories of sons who are inquiring into the mysterious deaths of their fathers, and who are forcing personal and social upheaval in the process. But, unlike Hamlet, Eric isn’t driven mad by grief; if anything, it imposes a certain logical rigor and discipline upon him. His search for the truth about his father’s death began in 1975 and continues up to the present day; he even went so far as to exhume Frank’s body in 1994 to have it examined by a forensics expert. “His whole life has been sucked into the grave,” a friend comments at one point. The most compelling parts of Wormwood use techniques from Morris’s other films to explore the consequences of Eric’s obsession: montages of archival documents rendered in extreme close-up, historical footage, and other visual ephemera intercut with long interviews, shot from multiple angles, in which Morris himself is effaced (often out of focus, or viewed from behind) but not completely removed. These sequences belong with the best of Morris’s films in the Ahab genre: If that were all Wormwood was, it would be almost the equal of Mr. Death, which is still, almost 20 years on, the director’s masterpiece. What separates Wormwood from the rest of Morris’s oeuvre, however, is its interpolation of fictionalized scenes that re-create the final days of Frank Olson’s life. These go beyond the elaborate reenactments Morris staged for The Thin Blue Line (which infamously invalidated it for consideration for the Oscar for Best Documentary): They’re full-fledged dramatic scenes, in a kind of murky film-noir style, featuring the perpetually saturnine Peter Sarsgaard as Frank. It isn’t entirely clear what Morris is trying to do with this material, which makes up roughly half of Wormwood’s running time, and whose basis is the declassified documents that the CIA provided the Olson family concerning the circumstances around Frank’s death. Is he staging different plausible scenarios in order to determine the truth, as he did in The Thin Blue Line? Commenting on the blatant artificiality of the CIA’s version of events? Or is he attempting to gratify Eric’s fantasy of perfect knowledge by bringing his father back to life and speculatively filling in the gaps where the documentary record is silent? In any case, the scenes are dramatically inert and often confusing—though it’s possible this is the point. A dull script by Steven Hathaway and Molly Rokosz is partly to blame, but Morris’s direction doesn’t help matters. While Morris is a masterful documentarian, he’s directed only one fiction film—the ill-fated and little-seen The Dark Wind—and on the evidence of Wormwood that’s no great loss. Some clever Hitchcockian flourishes notwithstanding—there’s a nice sequence in which an elevator slowly climbs from the first to the 10th floor, and we watch the numbers light up one by one—Morris shows little feel for this kind of filmmaking. The style of these scenes is overwrought, full of canted angles, split-screen effects, and frames within frames. It’s as if Morris is so afraid of making a mere television show that he overcompensates with “cinematic” touches, trying to prove his auteurist bona fides. But the resulting sequences feel less like excerpts from a movie than like video-game cut scenes: I kept looking for the button that would let me skip to the next section. 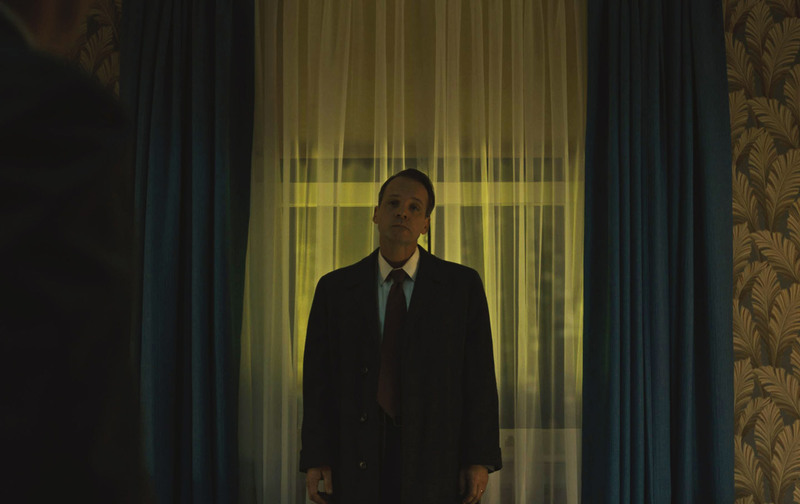 Make no mistake: Wormwood is worth watching, flaws and all, and not only because it offers a timely reminder that, the Mueller investigation notwithstanding, our nation’s intelligence agencies are not always on the side of the angels. The paranoid spirit of 1975 lives on, but ironically it is our president and his right-wing base who are most suspicious of “the deep state” in 2017, while many on the left cheer it on. If Morris overreaches with Wormwood, it’s nonetheless good to have him back, in this moment of political and epistemological chaos: He reminds us that skepticism is the only thing we can trust.